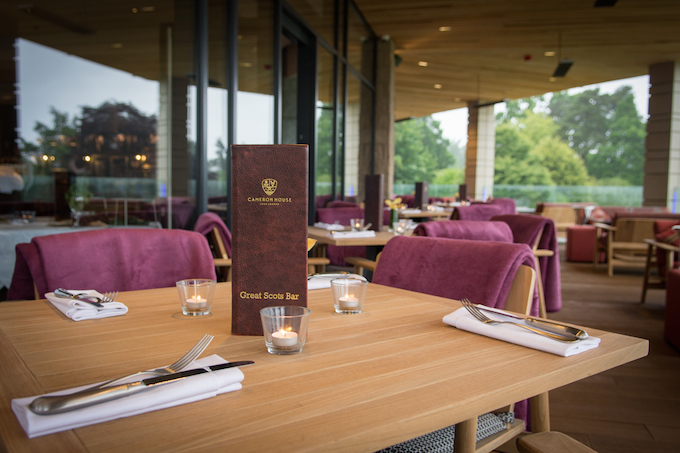 Five-star luxury Scottish resort and RCI affiliate Cameron House has announced the opening of the new Great Scots Bar Terrace, an open-air space overlooking Loch Lomond. 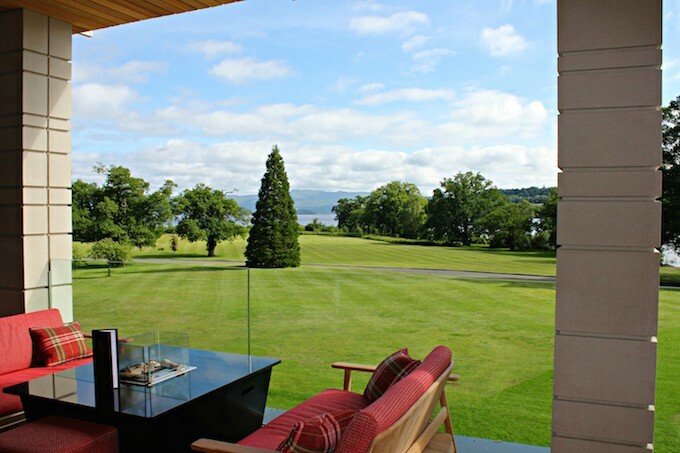 The brand new outdoor terrace showcases the unique panoramic views from the hotel, across Loch Lomond and The Trossachs National Park. Guests and locals alike are invited to take in the spectacular views. The terrace will be used as both an alfresco bar area and an outdoor events space for private celebrations. From hosting corporate events, including drinks receptions, to acting as a stunning backdrop for wedding photography, this new multi-functional addition to the resort is a valuable asset to be enjoyed by all. Cameron Lodges at Cameron House, the shared holiday ownership properties on this resort, are affiliated to the RCI holiday exchange network, meaning RCI members owning or exchanging into the resort will also benefit from the new facilities. To celebrate the opening of the Great Scots Bar Terrace, the resort hosted an exclusive drinks reception where guests enjoyed chilled Champagne by the fire pits embedded in the alfresco tables. The same fire pits can also be transformed into ice buckets to keep refreshments chilled for guests. Award-winning architecture firm 3DReid managed the design and build of the project, while Greyline Design managed the exterior FFE design. The terrace accommodates 60 seated or 120 standing guests and access is granted through the Great Scots Bar or via a staircase at the front of the hotel. Andy Roger, resort director, said: “The new terrace at Cameron House has been a thrilling project to be involved in, from seeing the first drafts of the design to its inception and right through to its completion, and it really does bring a new dimension to the hotel. The completion of the outdoor-terrace marks the end of phase two of refurbishment at Cameron House. Phase three of the ongoing refurbishment is still under way with a redesign of the hotel’s bedrooms. Over a 12-month period Cameron House has invested £4 million into the resort.